Tesselation in Carrara on an abritrary position like in Heyagon? How can I insert another line (edge) at an arbitrary position on an object? In Hexagon this goes with Free Tesselate, but when I pick them in Carrara Tesselate is always selected only the center, so no arbitrary position. I added an Image to clarify how it should work (from Hexagon). Also, and this might only be in the pro version, there is an icon along the top menu of the vertex modeling room that looks like a sideways H with a skeleton inside. If you hover your mouse over it, it will say quick filet. There is a little triangle on the icon. If you click the triangle you will get four choices for manipulating lines. One of them will allow you to choose a line and then create a new line and drag it anywhere along the polygon of the line it was copied from. Not sure if that made sense, but play with the choices in the quick filet menu, if you have the pro version. 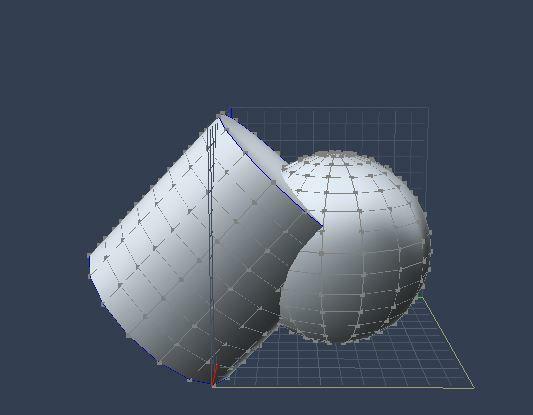 Yes, have the pro, but the "Fillet tool" or the "Extract ... tool" will only work on simple meshs like the cube, but if i have a mesh that is not symetric and have different sides or whatever, than i have no lines to select to duplicate and move along. in Maxon C4D there was a Tool "Knife" or "Cutter" (can't remember) for this. Ah, yes, the cut tool, or lack thereof. The real experts will now have to weigh in. To your first question, if you don't want to use the 1/2, 1/3, 1/4 position choices when adding a new vertex for a new line, there is a checkbox in the properties tray (upper right) where you can change the setting for add vertex from "constrain position" to "free position." You can then add a series of vertexes wherever you like. As for a cut tool, you will not be as satisfied with the choices in C8.5 compared to Hex. You can select a line and use the filet tools as discussed above. You can also be creative, such as try to use a temporary mesh as a boolean and cycle through the boolean choices until you get the line option, instead of the union/intersection type choices. What might work depends on the characteristics of the mesh that you are trying to cut. I will also anxiously wait to hear what the real experts have to say. Maybe I'm missing something because I consider myself a bit of a novice in the VM, but I'm pretty sure there's a cut tool. Whether it's the same function as Hex, I can't say. I'm doing a test render at the moment, but I'll look into it when it's done and post what I find, then you all can let me know if I'm misunderstanding what the cut tool does. Yes, there is a cut tool and I am posting some pics. Use the polyline in one of the directional camera so you get a flat drawing plane. Draw the cut. 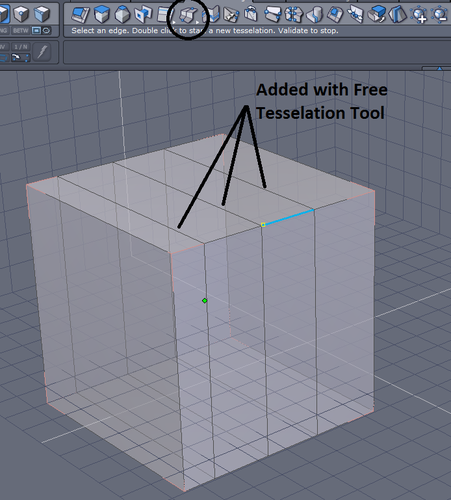 the cut tool and the boolean tool are under the same tab in the vertex modeling room menu. The choices of how the cut works are in the properties tray on the right. You won't be as satisfied as with Hex, so the Hex people keep saying. Note the choice on the far right is split surface. it is the choice that will simply add lines to your mesh. Always confirm that you have not inadvertently split the mesh. Check in the lower right area of the properties tray where it says how many vertexes there are. It should still say 1 mesh. If I understand the critique by users of other programs, the cut tool is again limited by instances in which you intend this "through the mesh" cut, which is why I mentioned other creativity. I am giving all sorts of bad info today. It does split the mesh. You may have to weld the result. Been a while. 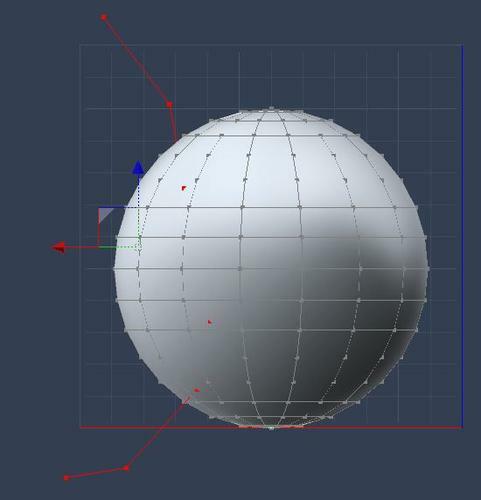 The vertex 'Cut' tool is the same as the regular boolean function except that it uses polyline/closed polyline to boolean a polymesh volume(as seen in diomede64's screen shots). Carrara doesn't have an automatic loop slice or loop tesselation. 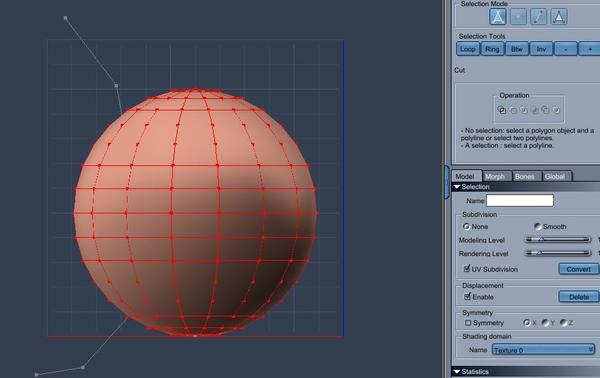 It has to be done manually by selecting edges and subdividing or linking vertices etc. I guess I mis-read the name of the tool I was looking at. It's the little scissors icon and it's called the Delete tool. I can use it to make clean holes in a mesh without booleans though. 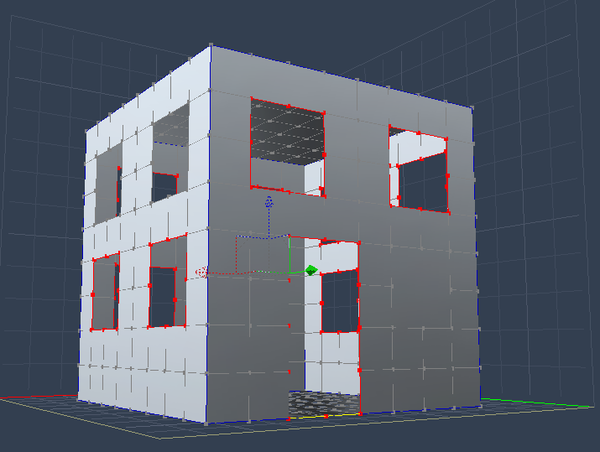 I started with a vertex cube and deleted points to make larger oplygons for the doors and windows. I then selected the polys for the doors and windows and selected Empty Polygon from the Construct menu. I then added thickness, but it made the outer walls puffy looking so I tried creasing the polys first. It was a bit better, but still a bit puffy around the corners. I have an idea I want to try to get rid of the issue. and here is an example of using boolean, because you can get more creative in 3D space then with the simple polyline. Hopefully you can see the yellow line on the sphere. 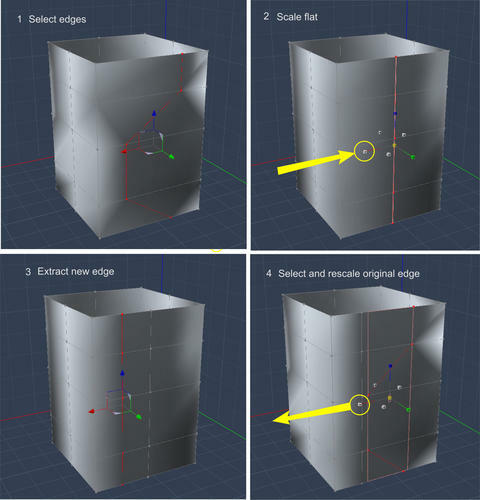 With the boolean, you might have more exact ability to include or exclude sections of the first mesh by manipulating the shape of the second mesh compared to if you used the polyline tool. There is a whole backstory of to the cut tool conversation that we shouldn't go into here. Suffice it to say that you can get creative with boolean to try to address asymmetrical meshes or complex selection areas, but the cut tool itself gets a lot of grief. Listen to this guy. He knows his Carrara VM! If 3dage should poke his head in here, he also is a VM Guru! The Bridge tool can also punch holes similar to a boolean, but with options to twist and use segments etc. Insert a vertex cube with at least an object definition of 3. Select a similar number and shape polygons on opposite sides. Then use the bridge tool. 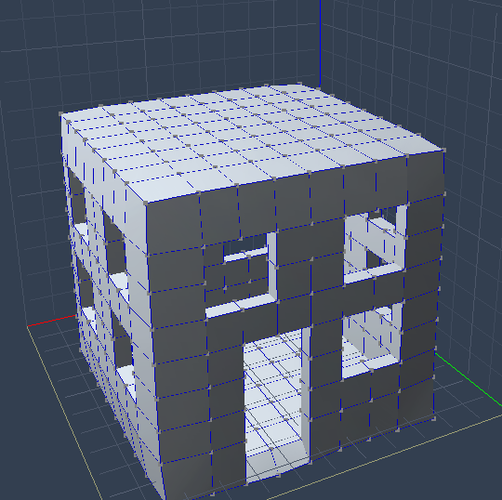 It should make a hole through the cube by connecting the polygons. Good for making some windows and doors where theres polygons to bridge. Extract Along/Around are probably the closest for getting loop type edge slices, but as you mentioned, it probably doesn't work very well for non-symmetrical polymeshes. 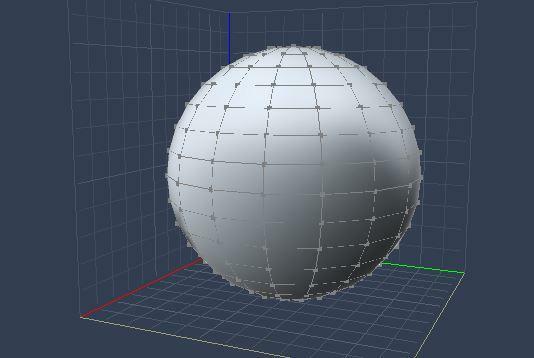 Heres one way for creating a loop slice(s) on a non-symmetrical vertex polymesh in Carrara. -Select a ring of polygons around the mesh you want to loop slice. 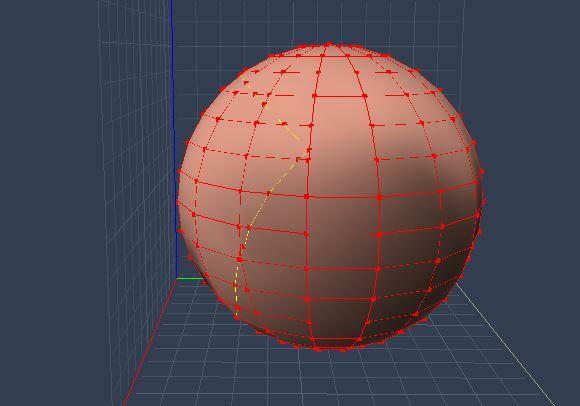 -Then delete them to cut the model into two separate polymesh sides. -Now select the outer edges on both sides made from the delete cut. Hold down the Shift key and loop select the edges(upper right panel 'Loop' button). -Use the Bridge tool which will reconnect those edges and add as many slices/segments("+" plus symbol) as needed. Its not a free tesselate method, but it might setup slices you can use the other line tools with. Hope this helps. If you have non symmetrical / irregular edge,. and you want to create a new edge,..
then you can extract an new flat edge,. then reselect and rescale the original edge, back into it's starting shape. I think the free tessalation (knife) tool in Hexagon 2.5 IS what causes it to crash a lot. Having said that though; freedoms like the tesselation toolset in Hexagon are why it's enjoyable to use - it also speeds things up. a good accumlative five hours of work in Hex. Ultimately what I would like to see is DAZ meld Hexagon into Carrara. Carrara is also missing an autosave feature. I know - my promo projects are close to 2 GB, with a few figures & props in them (and they take forever to save - 20+ minutes sometimes, which is how I get to the state of not having saved something, when Carrara crashed. last night: "How was your day, hun?" "Well, I saved my work a few times, moved a camera position, adjusted some lights, discovered those shoes were actually heels not flats, which meant the foot poses were up the spout, and the 2 hour render that had just completed was junk, redid that, *thought* I'd saved it, kicked off another render, cancelled it cos I spotted a bad light effect, put some money in the swear box cos Carrara locked up solid, put even more money in the swear box cos the project now complains about 70 missing textures, and Daz still hasn't fixed the bug that means it doesn't tell you the name of the file it's looking for, and checked up on the Iray render in progress-30% after 24 hours." "So basically you did nothing." BTW, I kicked off a file save 10 minutes before starting to write this post. It's still saving . . .
And you want an autosave feature ? Yeah I know. To be fair, the really long save times only really apply when I've got big scenes with 4 or 5 Genesis 2 characters in them. Mostly what I want is "That last thing I was working on just before it crashed" or "I really didn't mean to click on 'don't save' just before I quit". I don't really care how it does it. It could keep a cache of things that changed since the last save - much like an undo trail. It doesn't need to spend the whole day writing the same stuff out over and over.